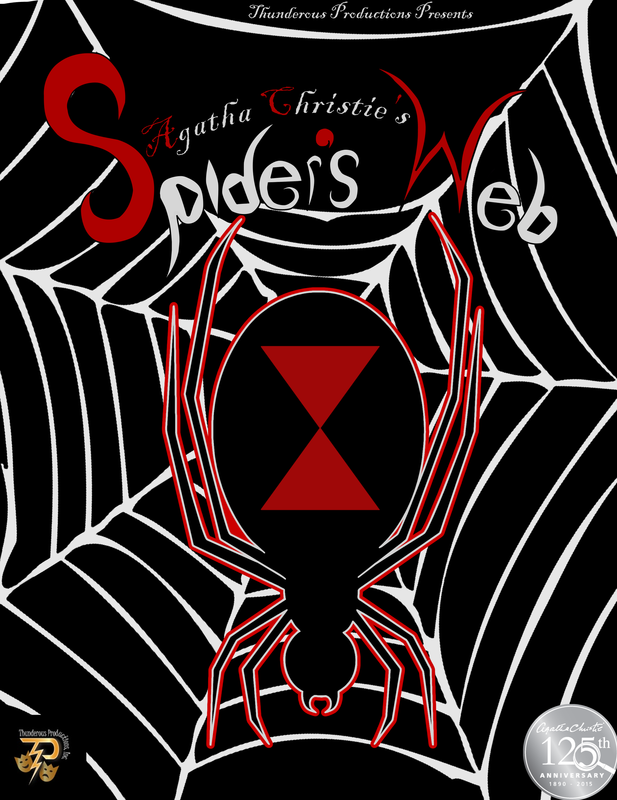 Spider's Web - Thunderous Productions, Inc.
Clarissa, the second wife of Henry Hailsham Brown, is adept at spinning tales of adventure for their bored diplomatic circle. When a murder takes place in her drawing room she finds live drama much harder to cope with, especially as she suspects the murderer might be her young stepdaughter Pippa. Worse still, the victim is the man who broke up Henry's first marriage! Clarissa's fast talking places her in some hair raising experiences, as she comes to learn that the facts are much more terrifying than fiction. Linda Elgin (Annette Landers), brings Pippa (Margaret Gardner), dinner! 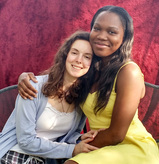 Clarissa (Devonna Burrowes) disapproves of her friend, Jenny's (Christina Wilharm), attempts to bring her back to the party life.